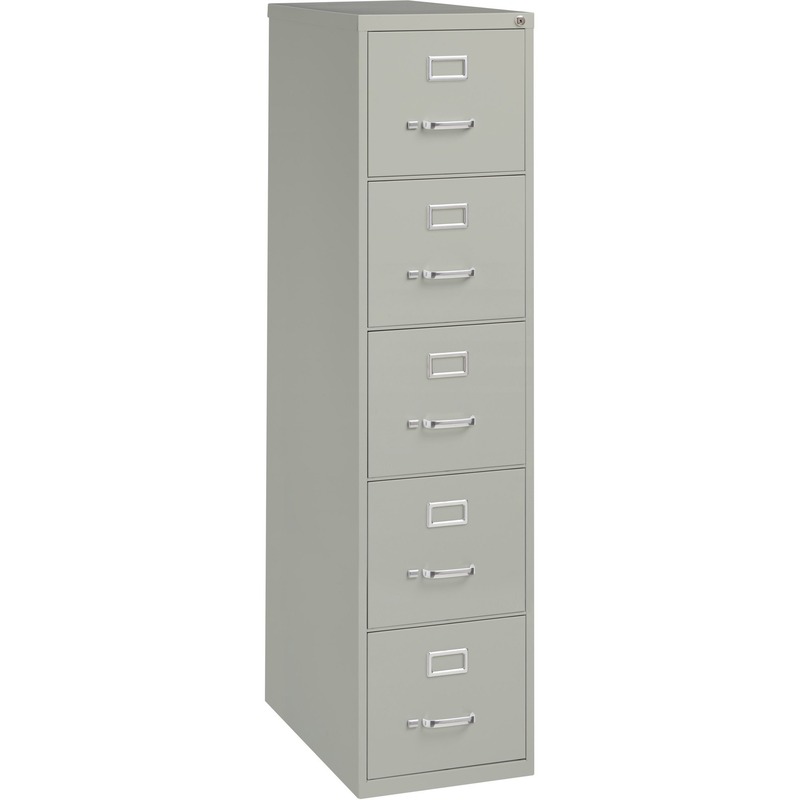 Commercial-grade vertical file features two high-sided drawers that accommodate letter-size, hanging file folders without additional accessories. 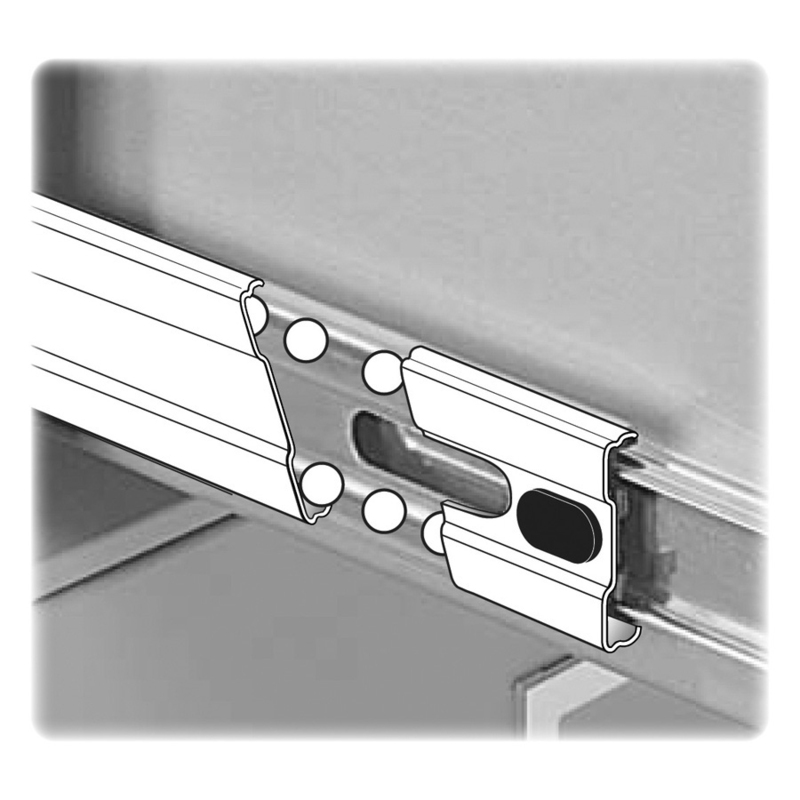 Slide suspension allows maximum drawer extension. 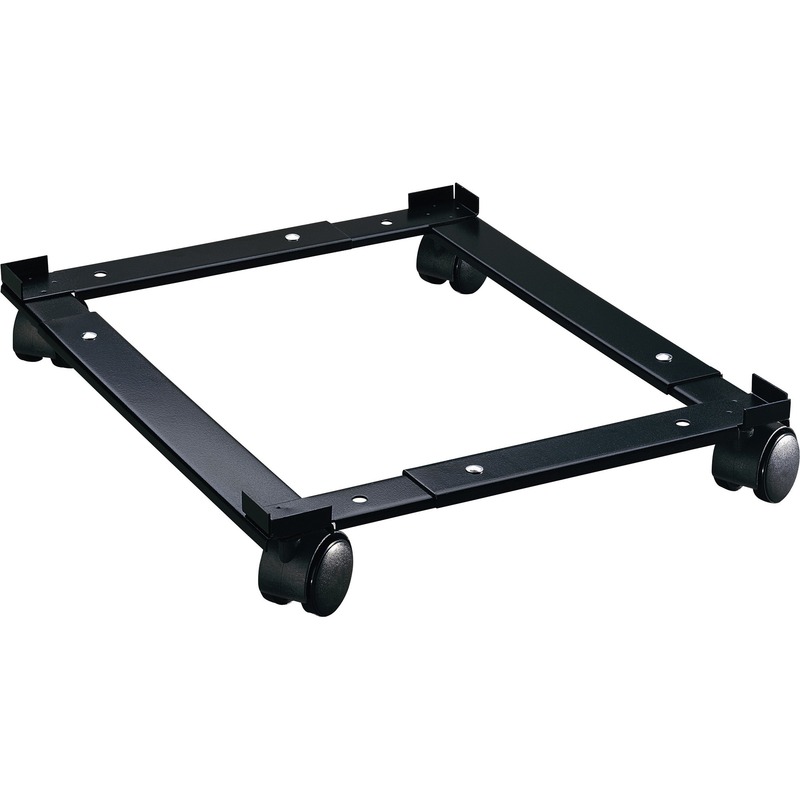 Steel ball bearings provide smooth, quiet drawer performance. 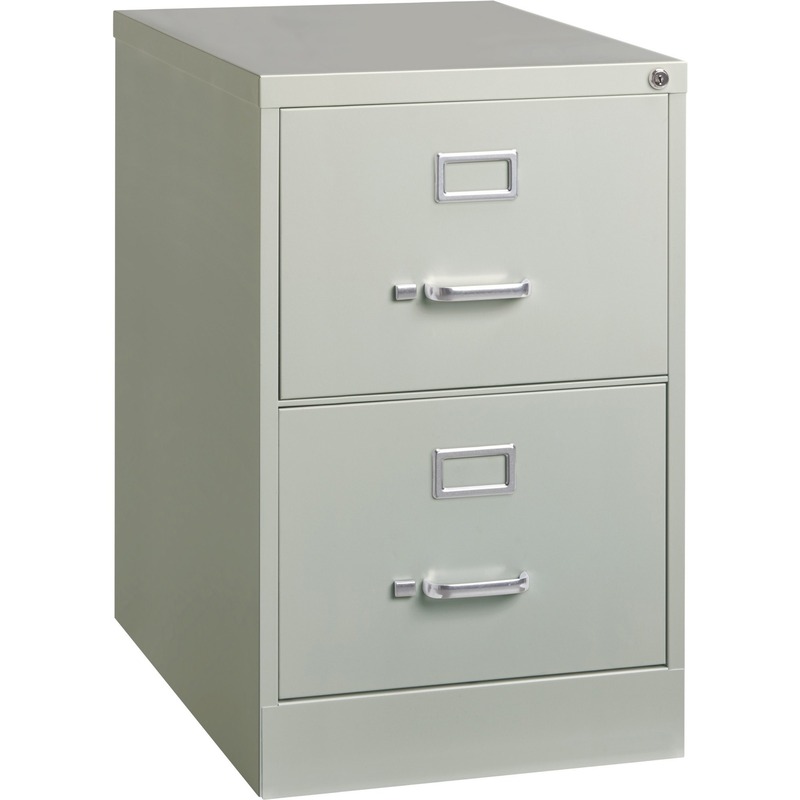 Even fully loaded, these drawers open with ease. 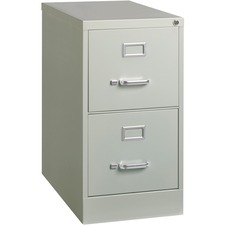 Adjustable wire followers keep files upright. 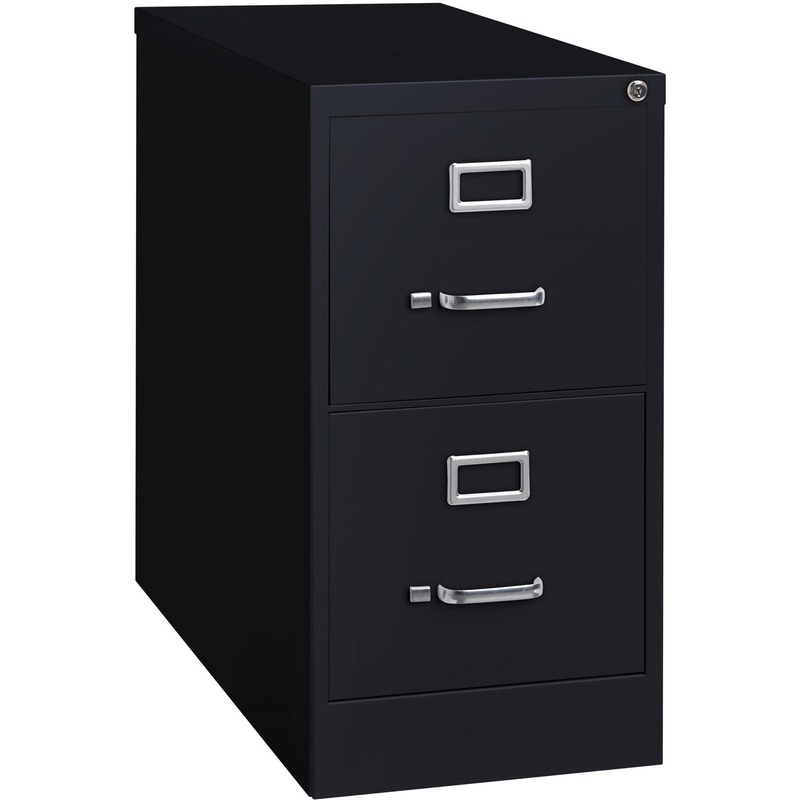 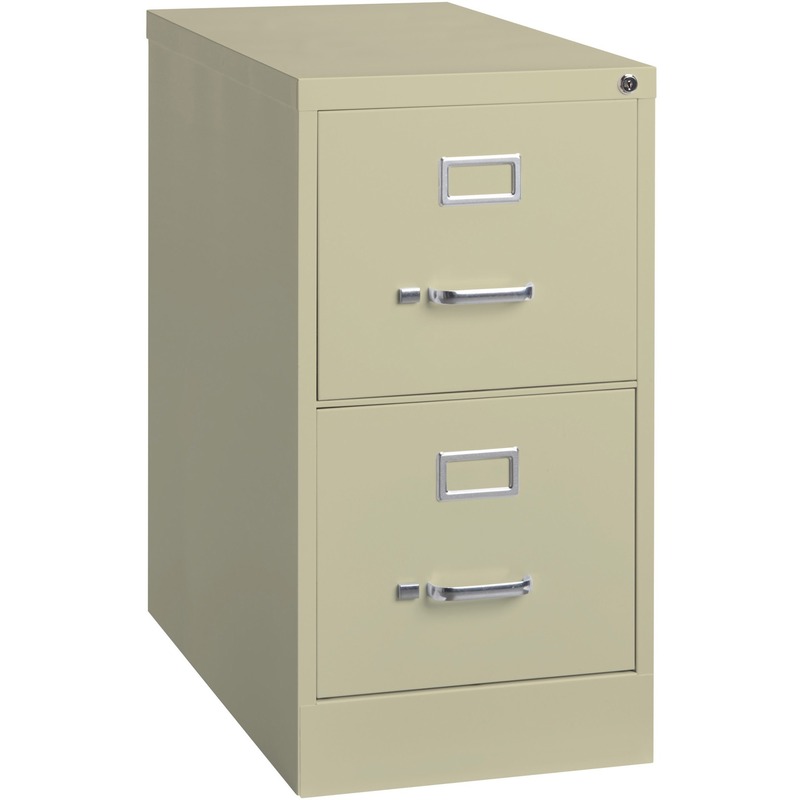 26-1/2" deep vertical file also features a core-removable lock for security, aluminum label holders for easy referencing, convenient pull handles and heavy-gauge steel construction with recycled content. 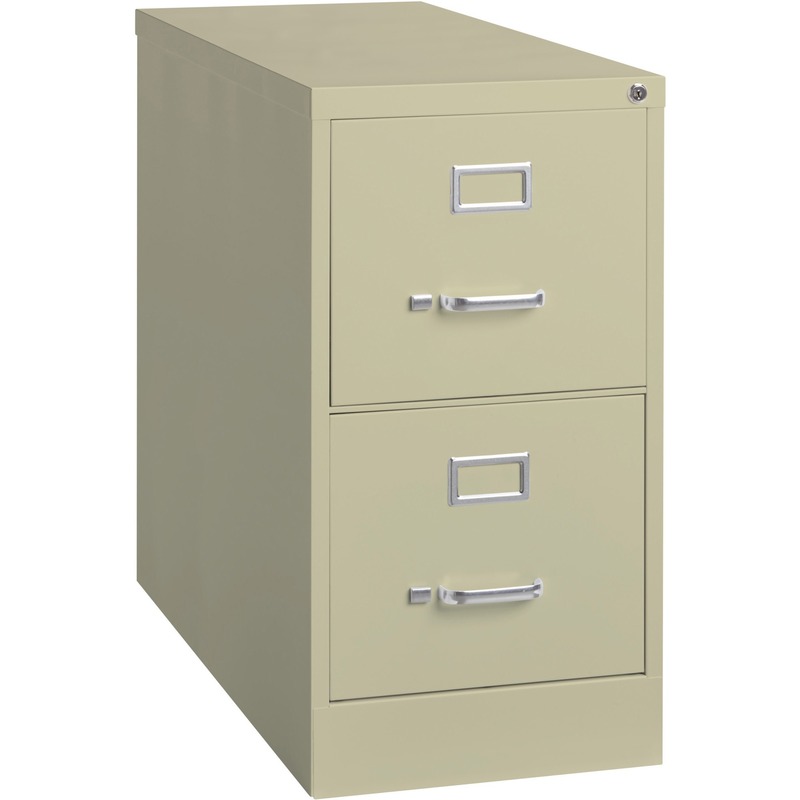 Vertical file meets or exceeds ANSI/BIFMA industry standards.